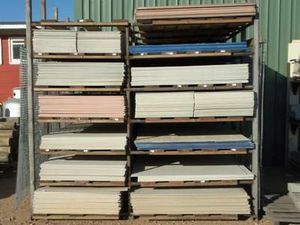 We supply cement sheet products for a range of uses. From specially designed external cladding products to tile underlay sheets. Designed to look like timber weatherboards. Has the advantage of high resistance to weather, insect attack and decay. Available in woodgrain or smooth. Primaflex is a multi-purpose board and is suitable for ceiling and eaves lining, partitions, gable end, external wall cladding, paneling and other building applications. Primabase flat sheets provide a suitable substrate for textured coating systems. Primabase can be used as wall cladding for new homes, extensions, second storey additions, re-cladding older homes and lightweight construction. Primabase can also be applied as an economical and easy-to-install bracing for timber and steel wall frames. Prima-aqua is a pink board with a pre-primed surface to ensure minimal water and moisture absorption on the exposed surface. Prima-aqua surface can be tiled or finished with top coats and wall paper. Divisional Mould, Plastic Profile External Edges, Primaplank Joiners.